Passage of the Trump Administration’s tax reform bill was the first time since tax laws were enacted nearly a century ago that housing wasn’t a priority, Elizabeth Mendenhall, current president of the National Association of Realtors told Utah real estate professionals Friday at the annual Realtor® Day at the Legislature. The keynote speaker at the event held at the Little America Hotel in downtown Salt Lake City urged Realtors® to know what the outcome of tax reform means to their clients and how affects Realtors® themselves. NAR has provided that information on its website, https://www.nar.realtor/tax-reform. Since tax reform failed to emphasize owning a home, Realtors® need to be the leaders in protecting property rights. • Define measurable increases in professionalism. • Increase influence in an uncertain legislative, regulatory and political environment. • Take the management of real estate data to the next level. • Ensure the role of the Realtor® is essential to the consumer. “The changes in Washington are affecting everybody,” she said. 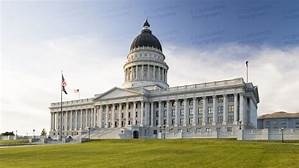 Mendenhall led a list of local Utah leader speakers, including Salt Lake County Mayor Ben McAdams, Rep. Gage Froerer (R) of the 8th district and a Realtor®, Speaker of the House Rep. Greg Hughes (R), district 51; and Sen. Wayne Niederhauser (R) ninth district. McAdams recalled his involvement in the local effort to improve homelessness, recalling that he refused to sign the federal initiative to end homelessness because it didn’t include measurable goals. It had a lot of activities, he said, but no system. Federal officials wanted every mayor in the country to sign it. Rather McAdams worked on pulling together some 35 homeless services to coordinate the effort with $52 million in state, local, federal and philanthropic money. The Road Home, a Salt Lake City “one size fits all” homeless shelter offered 1,100 beds but McAdams favored replacing it with three separate facilities apart from each other to serve varying needs of the homeless. Those facilities are now scheduled to break ground in a couple of months, he said. Hughes noted that constituents want government out of their way. “We hear that,” he said, noting that if Utahns are doing well, state officials can do more, rather than just adding costs onto the back of the taxpayer. However, one of the biggest challenges facing the legislature is growth. “Growth is coming. We must plan for it,” he said. The valleys will fill up and need to have more roads and related infrastructure built to keep up with growth and avoid gridlock. Sprawl cannot happen here because of the mountains and the lakes, both in Salt Lake and Utah counties, so leaders are looking at various modes of transportation, including rail and bus. He even noted that bicycles “are all the rage” and should be including in the planning. Infrastructure in the state has improved “tons,” Niederhauser said, but the region is still facing congestion. The gasoline tax once paid for the improvements, but now covers only half. He questioned whether Utah is facing a “double-decker I15,” but seemingly dismissed that idea. More density is coming, he said, as more land is developed. Niederhauser also noted that the federal government continues to over-reach through appropriations and other ways and “we need to keep a barrier” between the state and federal governments. He also noted that income taxes are a tax on prosperity and “we should not do that” to pay for infrastructure. Rather he favored a system of those who use it should pay for it. Turning to the Affordable Care Act, Niederhauser said the Obama Administration law did little for the supply of health care, while it did provide more access. The result is higher health costs. • HB 377: Requires cities to grant building permits to bonded developers for infrastructure not yet completed. The bill clarifies that cities cannot change the rules for developers that were in place at the time of application. It does allow cities to impose mitigating, yet reasonable conditions for conditional use permits. • HB 108: Exempts non-profit organizations, such as Habitat for Humanity, from the Federal SAFE Act that deals with mortgage licensing. • HB 259: Deals with affordable housing and requires cities to plan for moderate-income growth allowances. • HB 62 S1: Regarding eminent domain, it requires government to consider factors a buyer would consider when determining market value before and after the taking of the land, helping landowners with just compensation. • HB 96 S2: This bill establishes a process to move ditches and canals when landowners develop their property to avoid conflicts with canal companies.